The fierce competition invited contestants to try their hands at 10 complex algorithmic problems. Dozens of competitive programmers from all over the world descended on Bengaluru this past weekend for India’s biggest programming event: SnackDown 2019 - a global programming tournament organised by CodeChef. The fierce competition lasted five hours and invited contestants to try their hands at 10 complex algorithmic problems. 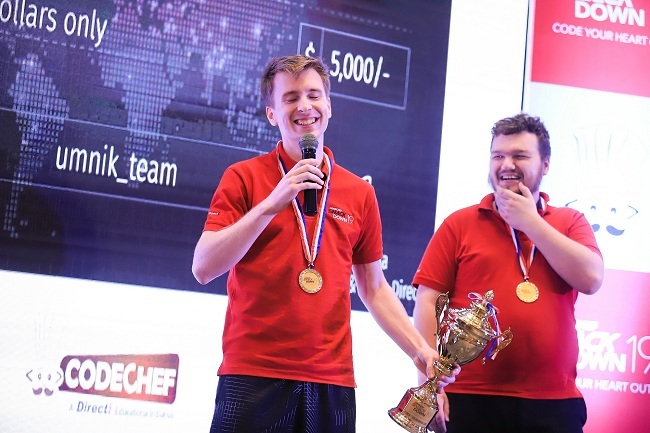 Borys Minaiev from Ukraine and Gennady Korotkevich from Belarus came together to take home the coveted title of SnackDown Champions as well as a cash prize of $10,000. The first runners up were Oleg Merkurev and Aleksei Daniliuk from Russia while the second runner-up slot was claimed by Ji Ruyi and Yuhao Du from China. This victory did not come easily for Borys and Gennady (who now live in Russia). It was a tense battle right down to the finish with the winning team making a successful problem submission during the last 30 seconds of the contest. The final twenty seconds completely changed the fate of the contest. This was a second SnackDown win for Borys and Gennady who had previously lifted the SnackDown cup in 2016. In the current edition, they beat out SnackDown defending champions Aleksei and Oleg to earn the top spot. SnackDown also rewarded the best School team: Shih-Yu Wang from National Experimental High School, Taiwan and Yeoh Zi Song from Chung Ling High School, Malaysia, as well as the best women’s team, had Xiaoou Zhou and Jiayi Mao from China. This year, SnackDown opened to registrations from over 27,000 teams comprising more than 40,000 programmers from different parts of the globe participating in different rounds of the contest. The finale saw 26 international teams consisting of 51 individuals from 13 different countries who competed against one another under one roof. 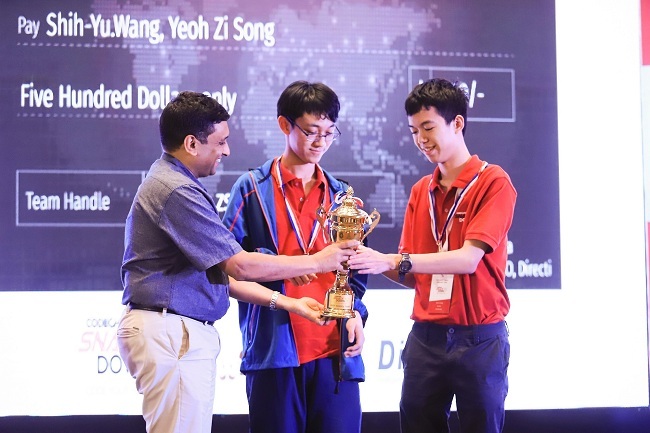 Additionally, the top 10 Indian teams and 3 school teams from India were invited to the on-site finals to meet and interact with the best programmers, adding another facet to this event, making it the only event of this scale to give exposure to the young programming talent from India. The best Indian team this year stood at 25th position comprising Ginuga Saketh and Yash Chandnani, both from IIT Kanpur. For those who don’t know, SnackDown is the only programming competition of its size and scale that is conducted in India and it attracts the very best programming talent from India and overseas. As there is practically no eligibility criteria to enter, SnackDown attracts a varied mix of entrants, from school and university students to working professionals, who all put their life on hold for three days to attend this exciting event. This year 839 school teams registered to participate in SnackDown alongside 3,438 female teams registered. The event saw registrations from 115 different countries. “We are humbled by the response we have received for this edition. We are always amazed by the talent and passion of the teams which only seems to grow every year. In particular, we want SnackDown to be a platform where the best Indian programmers can meet and interact with their overseas counterparts and judging by our successful activities and interactive sessions, it makes me happy to see that happening!” said Anup Kalbalia, BU Head, CodeChef.